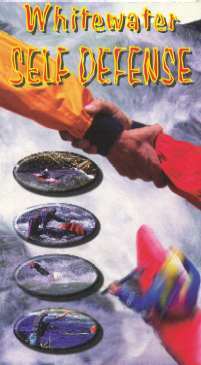 This combo DVD includes both Girls at Play and Whitewater Kayaking Basics for Women. Kayak instruction specifically for women by World Freestyle Medalist Anna Levesque. This is a beginning to intermediate rafting instructional. World Champion Eric Jackson teaches basic playboating moves like flat spin, loop, backsurf, cartwheel and more. 90 minutes of quality instruction. 90 minutes of instruction in advanced playboating moves that pick up where the basics DVD left off. This video is meant for beginner through intermediate paddlers. It includes descriptions of the language, features, moves and techniques required to safely run a river. Learn to boof, read harder water, deal with rocks, holes, long rapids, waterfalls, slides and more. Slalom Champion, Freestyle Champion and Olympian Eric Jackson teaches drills and the important techniques and skills required to be an expert kayaker. This video is the oldest of all roll videos, teaching the C-to-C technique. 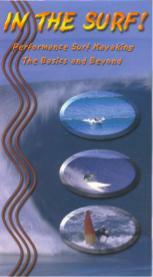 However, the DVD version has been updated to include the sweep roll and modern planing hull kayaks. Beginning playboaters is the target audience of this fine instructional. 2.5 hours of video comprised of 5 complete compositions including: Boat Control, Water Reading, River Running, Rolling, & Safety. Won Best Instruction Video at the 2006 NPFF. A step by step guide to ALL playboating moves - surfing, spinning, double pumps, stalls, flatwater cartwheels, clean cartwheels, clean cartwheels, splitwheels, aerial loops, flatwater loops, trickywhus, blunts, air screws, pan ams, helix's. this double feature DVD contains the award winning Liquid Skills and SOAR. Filmed in Chile, Liquid Skills covers beginner and intermediate whitewater kayaking technique. SOAR, shot in Africa and New Zealand, is intermediate and advanced kayaking technique. This double feature includes instruction from Olympians Scott Shipley and Kent Ford on stroke techniques, surfing, rolling and bracing , and drills to perfect your paddling. This two part DVD teaches how to learn and improve an effortless roll. Works on whitewater kayaks and sea kayaks. Unlock the techniques of competent river runners. Water reading, strategies, strokes, maneuvers and basic playboating are all covered in this 104 minute instructional. This is the BEST creek boat instructional video ever made. Instead of narrative, text boxes, graphics, and tons of examples teach the techniques needed for running steep creeks. The music video feel makes this watchable even after the skills have been learned. Underwater video, practice drills, and step by step technique make this instructional a must for whitewater open canoe paddlers. Instruction in solo and tandem whitewater and flatwater canoeing instruction presented in Bill Mason's inimitable style. This absolutely gorgeous video provides instruction in flatwater canoeing. More than an instructional, this is a tribute to Becky's dad, Bill Mason. Targeted at novice through intermediate canoeists, the video features extensive strokes progression, eddy turns, peel outs, ferries, scouting, water reading, edging and more. This four part video includes an intro to sea kayaking, essential strokes and techniques, rescue techniques, and advanced topics like multi-day trips, surf, current and weather. This surf kayaking instructional is for sea kayakers, whitewater kayakers and surfers who want to play the ocean swells. Maneuvers, reading waves, surf zone etiquette and more are covered. Paddling more efficiently, easily going farther and faster, the Eskimo roll, surf action and navigation skills are all included in this comprehensive 58 minute DVD. C1 World Champion and Open Boat Champion Kent Ford unlocks the secrets of fun surfing and easy play boating with advanced stroke techniques and rolling and bracing. Open canoe instruction from Master ACA Instructor Tom Foster. This DVD provides new and developing paddlers with the skills and nowledge necessary to comfortably and safely enjoy kayaking. This DVD will give the new kayak angler a solid foundation of skills and concepts, and allow a safe and comfortable entry into the sport. Scott and Joel draw on their vast experience in both kayaking and fishing to offer a wealth of tips and tricks. Two 26 minute sessions of poses with detailed instruction will benefit sea kayakers, whitewater kayakers, canoeists, and rafters. Two 28 minute sessions of poses specifically target the places where hikers need it most. Brief instruction is also included on a meditation technique to help get more from the hike. Two 28 minute sessions to strengthen without adding bulk, enhance balance, prevent injuries, and improve performance on the rock.